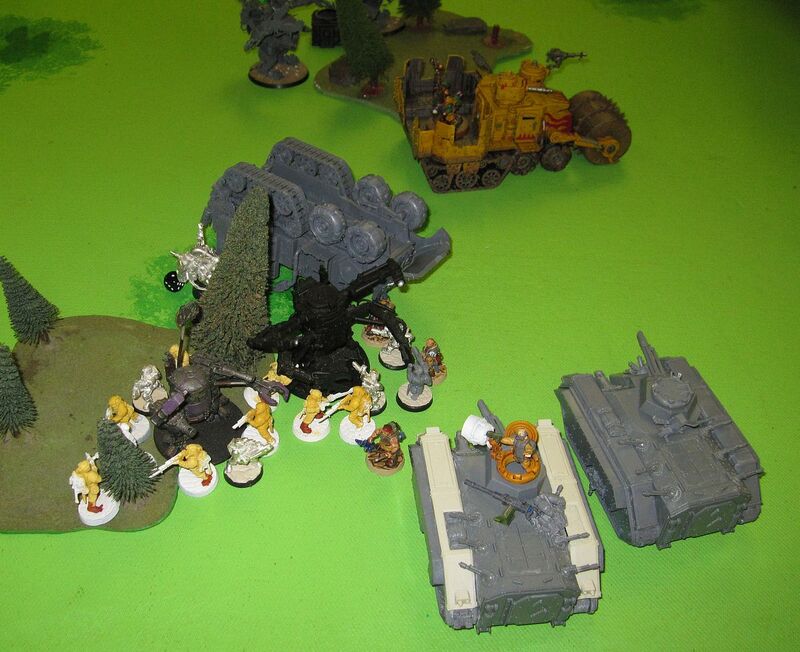 I was going up against Imperial Guard, so I packed in quite a few Rokkit Launchas. 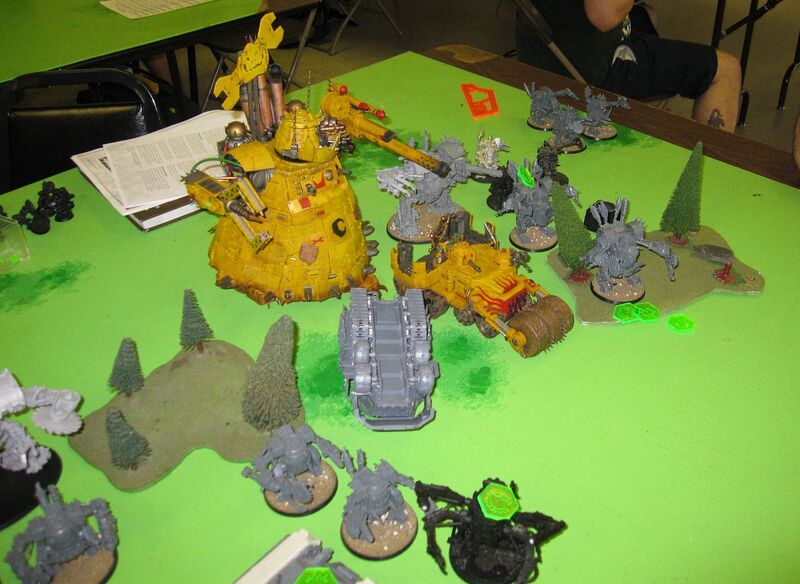 I also took three KFF (two with the Big Meks and one on the Meka-Dread) for some added protection. 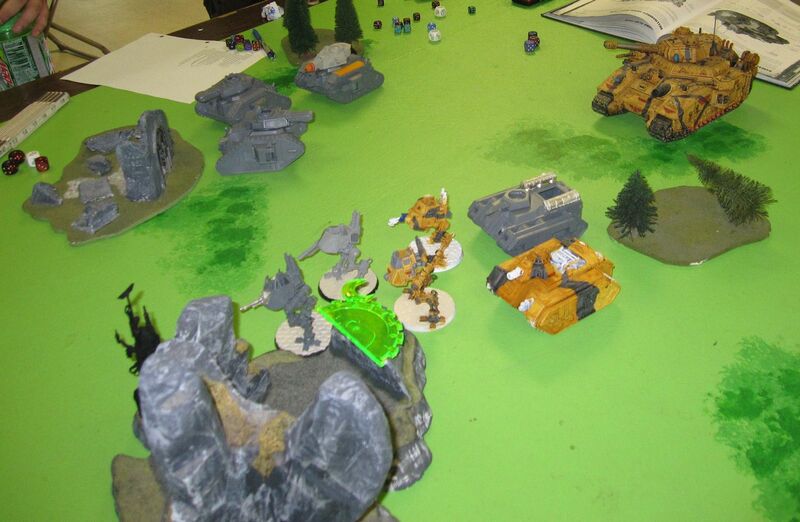 I took the Outrider Spearhead with the Meka-Dread and two units of Killa Kans. 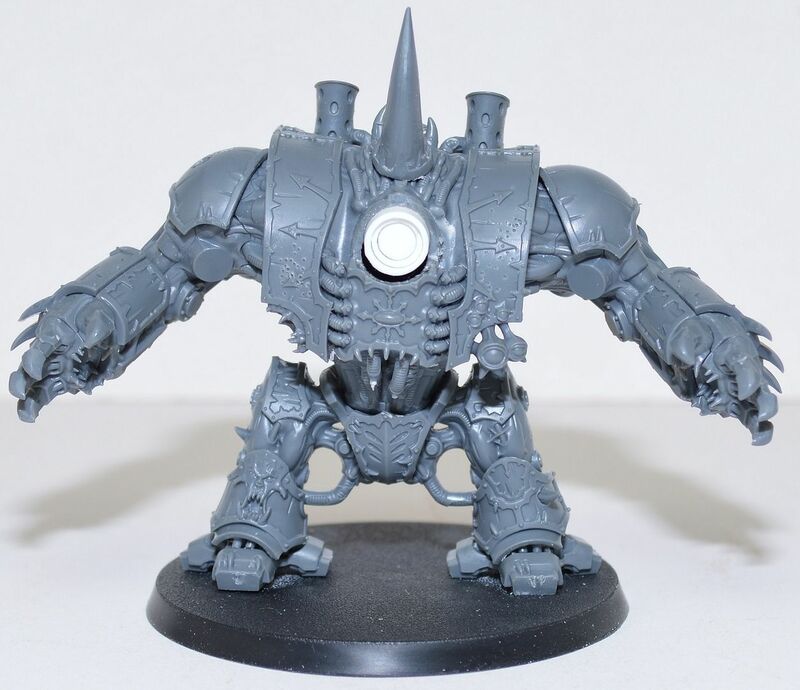 That would allow me to allocate any Glancing or Penetrating hits that got through on my Meka-Dread to the the Kans instead. 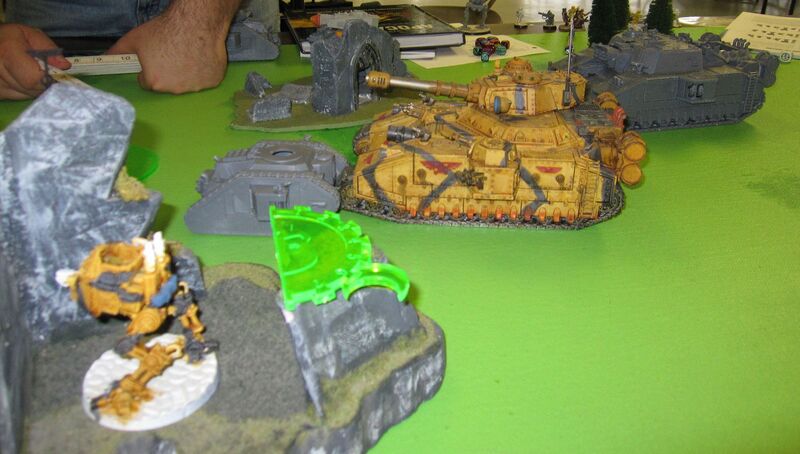 The Mega-Dread and two units of Kans got the Tank Hunter Spearhead (gives the units the Tank Hunter universal rule). 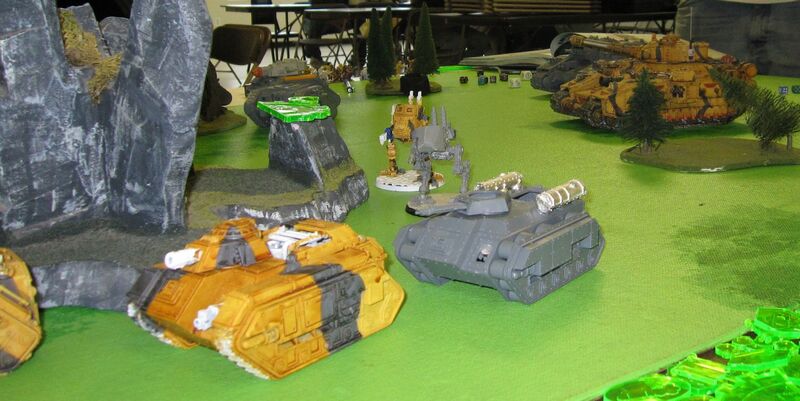 My opponent brought two Super Heavy Formations (Baneblade and Stormlord) and since this was his first game as well, I let him play with them anyway since we were just trying out the rules. We rolled the Lightning Strike mission and had to fight for three Objectives. 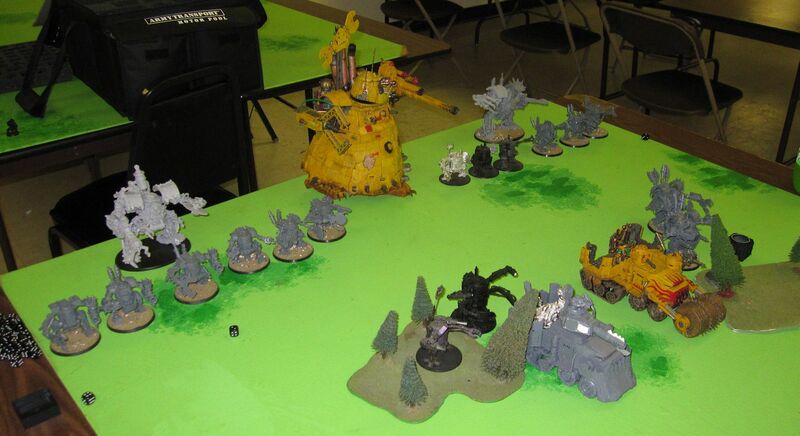 The Deployment Zone was the one where you deploy in wedge shaped zone starting a 9" from the center of the table. I won the roll and decided to go last since we were fighting for objectives. Even though I lost the game on Turn 5 with one Killa Kan just 2 inches away from contesting the center objective, the game was a lot of fun. Fighting the length of the table was weird and gave the game a different dimension. It also seemed to play pretty quick, probably because there were not as many infantry models to move. 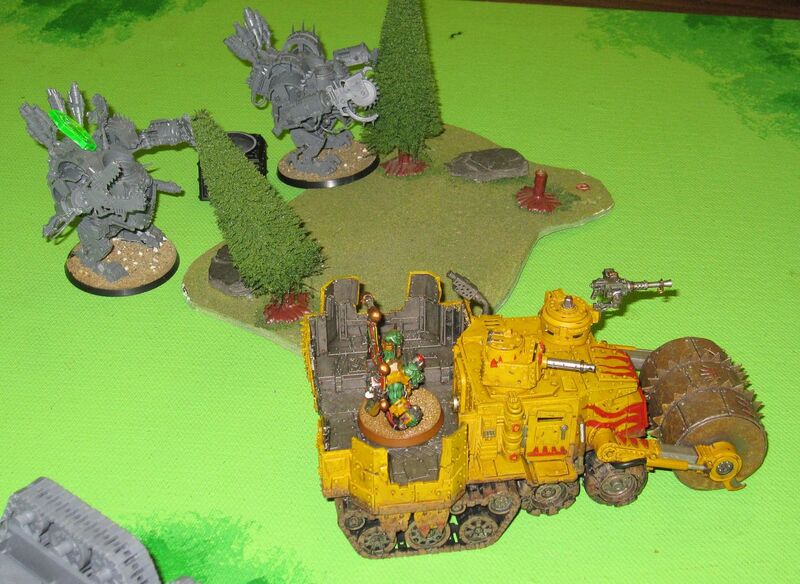 While playing, I still felt like I was playing 40k unlike APOC which does not feel the same. I am looking forward to playing more Spearhead. Thanks for the write up of your game, I haven't gotten a chance to try out Spearhead yet but it does look very interesting. Also I hadn't realized quite how large the Meka Dred actually is until seeing it on the table with your other Orks. Wow, that really is an impressive model. The Meka-Dread is an awesome model. I wish I had had time to blog about building it, but I rushed building it so that I could use it in a game the Thursday before last. I will get some pictures of it up this weekend.